In April 2011, Google released version 11 of the Chrome browser. One of the most important addition to the new version of Chrome browser is the support for speech recognition. One can enable speech recognition with a simple tag <input type=”text” x–webkit-speech />. Note: AXE027 programming serial cable is required. 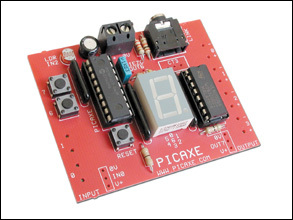 Picaxe-18M uses the same port for programming and serial communication with PC. A Windows-based XAMPP server is installed in the PC. The server is hooked to a local network with a fixed local IP. The application is situated in a network that has no fixed public IP, hence DynDNS services is used. The router routes all external demands to the fixed local IP. The html code is based on Romin Irani’s Voice Enabled Web Applications via x-webkit-speech example, that has been adapted to suit the requirements of this actual project. We are almost ready. We need to add video to the main index.html page, In the form section you will see http://localhost:8888/out.jpg. In fact we need to run a video server. Yawam is chosen to show a live image of the status of our AXE050 board. In order to view the LED switiching on and off a webcam setup is required. YAWCAM freeware is advised. 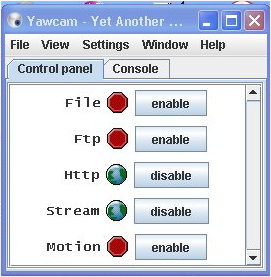 Having the requirements mentioned on the YAMCAM website one can easily establish a streaming server on port 8888. If the PC is behind a router the video streaming server port must be opened on the router. If the command is not recognised you will prompted to say it again, as you will hear the robotic voice from Google “Oops! Try again!”. You can disable popup in your Chrome 11 browser if you don’t want popoups that you have to close. In backgroung ledoff.exe will run for a short duration and the LED on the AXE050 will switch off. 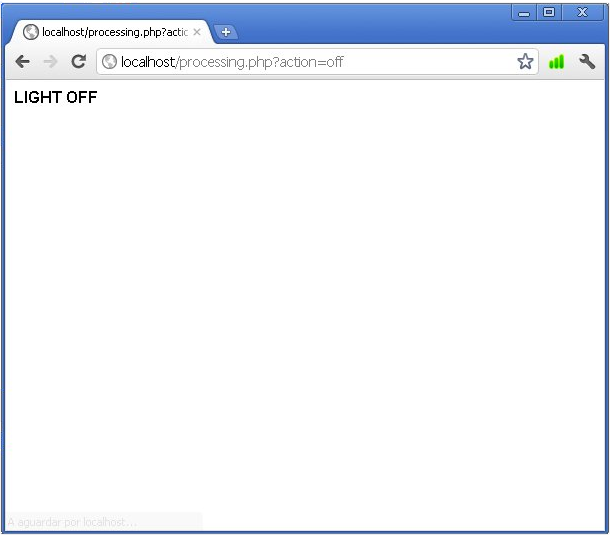 The processing.php page will be redirected to index.html page which will now show a live image of AXE050 with LED duly off, as we were in our first initial stage. We have experimented with voice (speech) recognition. The technology has not come to age yet. One has different accents and pronunciations (mine is a big mixture 😉 ) and it is a huge task to recognise all of differing human voices. The interaction with devices adds an extra dimension to voice recognition. Chrome 11 browser’s support for speech to text is not well domumented. but gradually its potential is being discovered and shared. NOTE: Check part II of this project! A special thanks to Max Carter for sharing the orignail PICAXE firmware, and to Romin Irani for his above mentioned index.html code (duly adapted for purpose of this project). 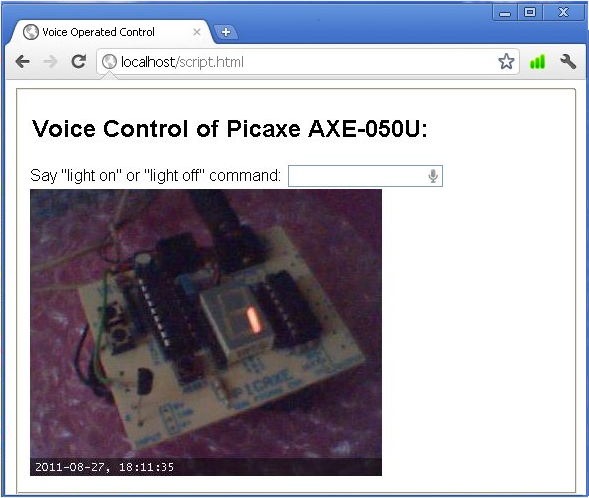 This entry was posted in Electronic Projects, Internet of Things and tagged DS18B20, Internet Control, IoT, Picaxe, Picaxe-18M, Voice Operated. Bookmark the permalink.